The changes proposed to the Nutrition Facts label are based on the latest information in nutrition science, the latest consensus reports from public health agencies, and the most recent public health and nutrition surveys. A release from FDA quotes FDA Commissioner Margaret A. Hamburg, M.D. as saying, "The current nutrition label has served us well for the past 20 years, but we must be sure that what is iconic doesn't become a relic. The proposed changes to the Nutrition Facts label should make it easier than ever to judge a food by its label and reflect the latest evidence on how what we eat affects our health." 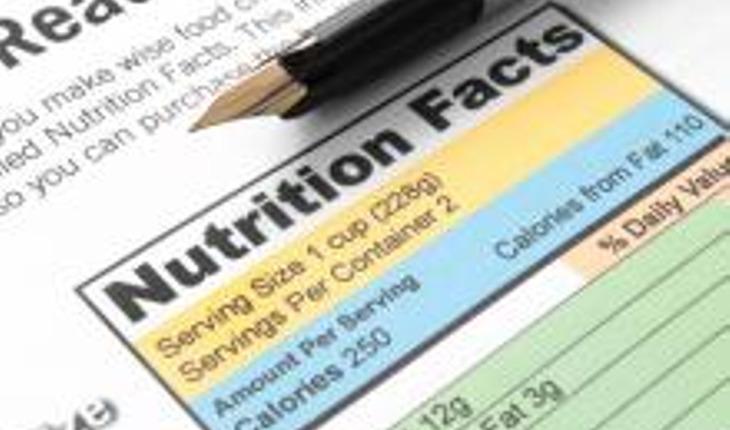 Jessica Leighton, Ph.D., MPH, senior advisor for nutrition science and policy at FDA, says the agency has long been considering changing the Nutrition Facts label to help consumers make more informed choices. "With all the latest science that has come out and all the latest studies on the health of Americans and food consumption trends, we've got more updated information to go on now," she says. A sugars area good example of this fact. The current label simply lists "Sugars," which refers to both added and naturally occurring sugars. FDA is proposing that the label have a new line, indented under "Sugars," listing only sugars that are added during the production process—appearing as "Added Sugars." For the average American, 16 percent of their total daily calories come from added sugars. The major sources are soda, energy and sports drinks, grain-based desserts, sugar-sweetened fruit drinks, dairy-based desserts and candy. But foods that are more nutritious can have added sugar as well, including cereals, fruit packed in syrup, and sweetened yogurt. *The Dietary Guidelines for Americans recommend reducing intakes of calories from added sugars and solid fats because high intake can decrease the intake of nutrient-rich foods. The guidelines provide evidence-based nutrition information and advice, and are the basis for federal food and nutrition education programs. *An Institute of Medicines (IOM) report on macronutrients (carbohydrates, protein and fat) stated that many foods and beverages that are major sources of added sugars have low levels of nutrients such as vitamins. IOM is the health arm of the National Academy of Sciences, a private, non-profit society of distinguished scholars. Its role is to help those in government and the private sector make informed, evidence-based health decisions. *Expert groups such as the American Heart Association, the American Academy of Pediatrics and the World Health Organization also recommend decreasing the intake of calories from added sugars in the diet. "Some people are eating too many foods with 'added sugars' and are not getting all the other nutrients they need," says Claudine Kavanaugh, Ph.D., M.P.H., R.D., a scientist at FDA. FDA is also proposing to change some of the nutrients of public health significance that must be declared on the label. For example, FDA is proposing to add some nutrients that many American consumers aren't getting enough of, putting them at risk of chronic disease. The agency wants to mandate adding Vitamin D and potassium to the label, where they will join calcium and iron, which are already required. Vitamin D is important to bone development and general health, as is potassium because of its impact in lowering blood pressure. Leighton explains this proposed change is based on data indicating the importance of these nutrients in the prevention of chronic disease and on analysis of data from the National Health and Nutrition Examination Survey (NHANES) about which nutrient levels were most likely to be inadequate in the U.S. population. FDA is proposing that mandatory labeling no longer be required for Vitamins C and A because the data indicate that deficiencies are not as common. For certain nutrients, FDA is proposing changes to the daily values. Daily values are used to calculate the "%DV" on the label, which is a term used to help consumers understand the nutrient content of a food in the context of the total diet. Some daily values are based on a maximum recommended intake for a nutrient—saturated fat, for example—while others are based on a nutrient requirement—iron, for example. In this way, the "%DV" helps to provide consumers with information about nutrients in a serving of food that reflects the general recommendations for a healthy diet. The proposed revisions are based on recommendations published by IOM and on other reports, including the Dietary Guidelines for Americans. Crystal Rivers, M.S., a nutritionist at FDA, gives an example: FDA is proposing a change in the daily value for calcium from 1,000 mg to 1,300 mg per day. This is in line with findings from IOM and other expert groups. Based on this change, one cup of milk that contains 300 mg of calcium would have a %DV of 23 percent instead of the current 30 percent. The proposed changes are available for comment in the Federal Register; visit FDA's official docket at www.regulations.gov.